Weather radios allow meteorologists to share real-time updates with people during severe storms. CB radios have 40 channels designated for public, unlicensed use. A Citizen’s Band, or CB, radio, is capable of sending and receiving radio transmissions in the range of 27 MHz. Forty channels have been set aside for unlicensed members of the public by the Federal Communications Commission (FCC) for both personal and business use, and the FCC-stated range for a CB radio is 1–5 miles (approximately 1.6–8 km). CB radios must only be used in locations in which the FCC operates, and they have to be certificated by the FCC, a fact that is shown by an identifying label. National Oceanic and Atmospheric Administration (NOAA) weather broadcasts can be picked up by certain CB radios, and any CB radio that can receive the NOAA channels can be called a CB weather radio. The NOAA National Weather Service is the official voice of the United States government concerning the weather. However, the NOAA Weather Radio (NWR) broadcast is known as “All Hazards,” and in addition to local and regional forecasts, the NOAA channels warn of extreme weather, such as winter storms extreme heat or fires, hurricanes, tornadoes, and other emergencies, such as floods, 911 outages, and AMBER alerts. NWR “All Hazards” broadcasts in the public VHF band between 162.400 MHz and 162.550 MHz. This is outside the standard CB range, so the ability to receive these broadcasts has to be specially added to a CB radio in order to make it a CB weather radio. The owner of a CB radio with NWR “All Hazards” broadcasts can fine tune it to receive certain types of alerts and not others. There are three models of CB radio. 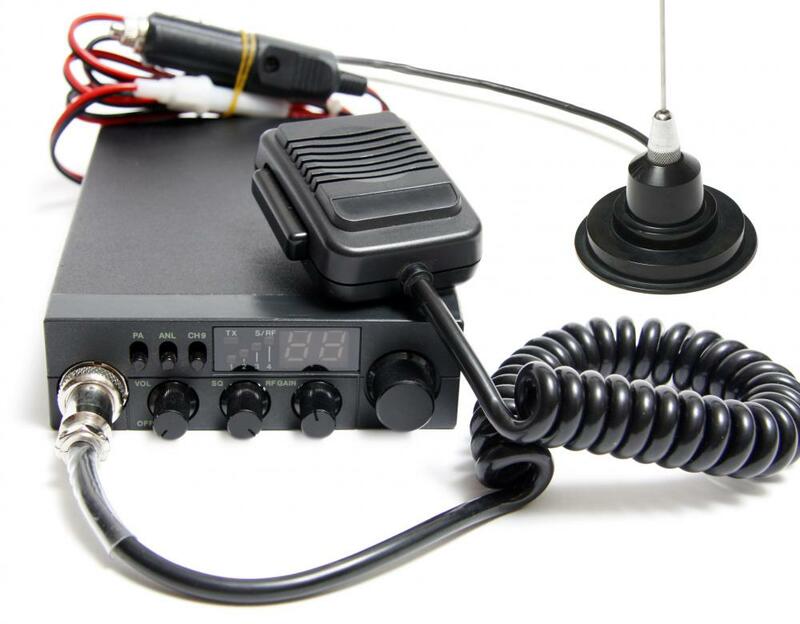 These are the base station, the mobile CB radio, and the hand-held or portable CB radio. Each of these three types of radio may be designed to receive NOAA channels, and so may qualify as a CB weather radio, but each is useful in different circumstances and situations. The base station that is a CB weather radio is designed to be set up in a static location and stay there. Mobile radios are made for vehicles and boats, and people who are traveling may certainly want a CB weather radio for assistance in planning trips, receiving early storm alerts, and keeping abreast of other important weather developments. Mobile radios come in sizes suited to various vehicles, ranging from spacious semis and RVs to the smaller amount of room available in a typical car or jeep. Portable or handheld radios are primarily used for access by people who are on the move, away from both the base station and their vehicle. When one is in the field, having a CB weather radio can be a boon for planning. Portable CB radios can be found with a vehicle adapter kit, so that they can move from vehicle to vehicle or from the vehicle to the backpack when the driver sets off on foot. How do I Read a CB Radio Schematic? Export CBs and Amps that operate from 25 - 27 Mhz are illegal in the USA. How about a nice hefty fine for interfering with your local police department's radio communication? Get a Ham license, and upgrade to General Class. I talk around the world almost daily with a legal 100 watt amateur radio and an indoor antenna that lets me operate 10-40 meters. I have talked to 50 countries using my indoor antenna (MFJ-1621). I only operate SSB. Just thought you might want to avoid jail time and paying fines. When all else fails, it's amateur radio.